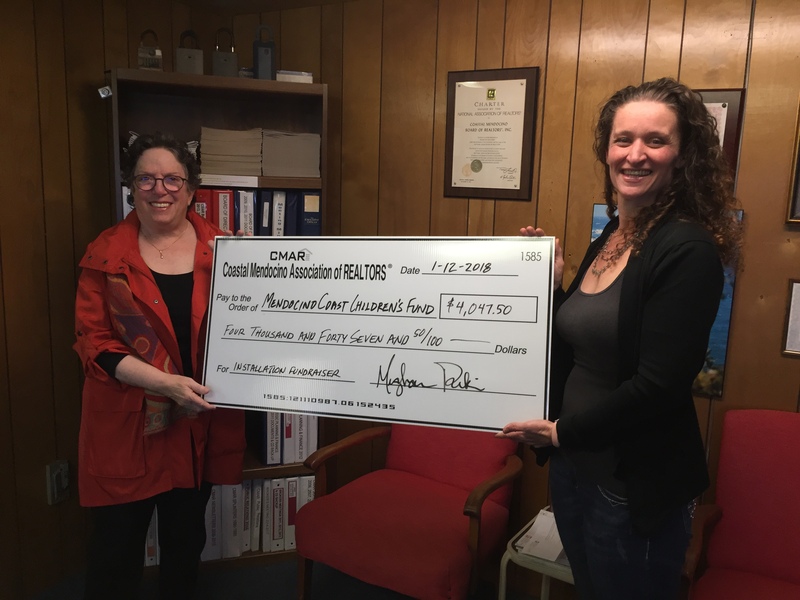 The Coastal Mendocino Association of REALTORS® raised a total of $8095 at the annual Installation Fundraiser. The Fort Bragg Food Bank and the Mendocino Coast Children’s Fund were the recipients of the funds. Each organization received checks in the amount of $4,047.50. Thank you to all of our members and local businesses who assisted us in raising the funds for two outstanding organizations. 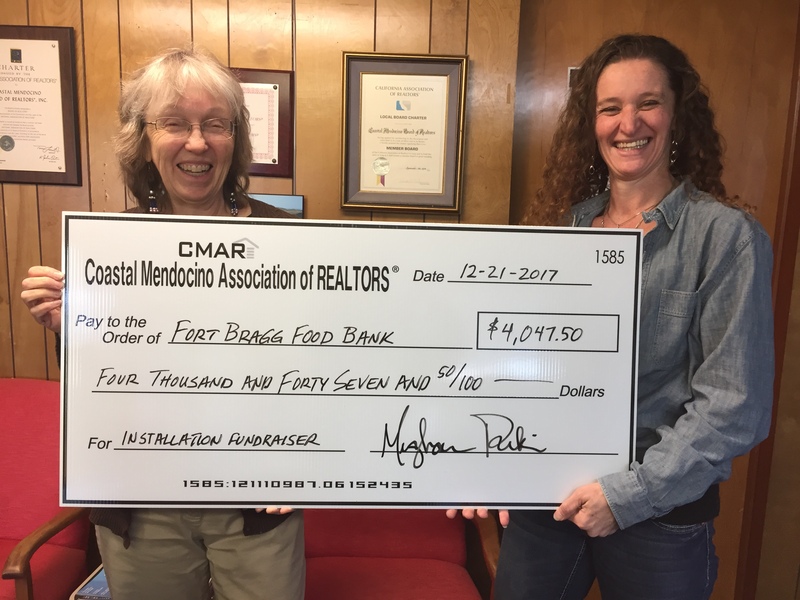 Fort Bragg Food Bank Executive Director, Nancy Severy and 2018 CMAR President Meghan Durbin. Mendocino Coast Children’s Fund Executive Director Annie Liner and 2018 CMAR President Meghan Durbin.